The art and science of Feng Shui is a collection of practical, tried and true ideas about how to create living and working environments that support, nurture and guide our lives in a direction that promotes optimum well-being. The fundamental principle of Feng Shui is to balance the Yin and Yang of the space which in turn balances the energy, activity and rest, or the universal law of complimentary opposites. In office or even home, Yin energy encourages rest, rejuvenation and relaxation hence its more appropriate to balance this kind of energy in a home and the focus should be bedrooms, family rooms and formal living. The decor of a Yin space can be further balanced through appropriate ambient lighting, decor, fabrics, art and most importantly colours. The overall harmony and balance of a space is based on the quality of energy flowing in and out of that space. In the science of Feng Shui, each sector of a building has a specific meaning and connotation and the quality of energy existing in that sector has a strong implication on the life of the occupants and their desires. Hence, balancing the flow would be more beneficial and aids in good health too. For many having a good sleep in the night could be challenging and lack of sleep causes many different reactions from the body and mind of the individual. The quality of energy in the home, especially in the bedroom, has a strong bearing on the sleep pattern of the individual. It could be due to decor, orientation of furniture and the bed in the bedroom. The changes could be as simple as moving out things which you don’t require anymore to a complete makeover of the bedroom. 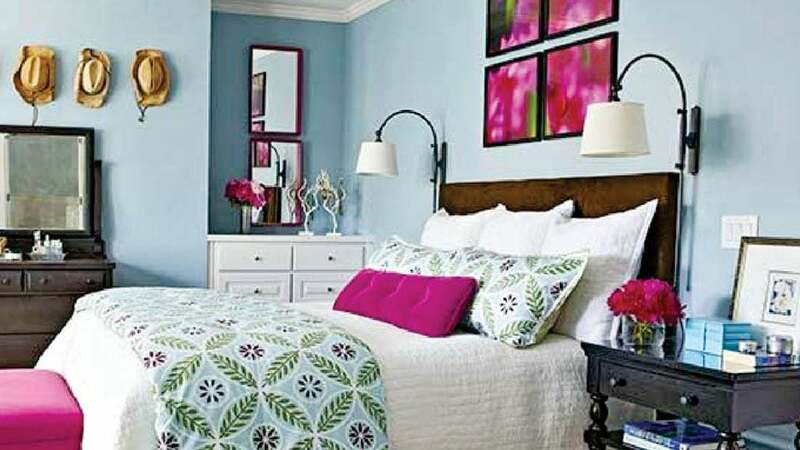 Ensure bedroom colours in harmony and shades of pink, pale lavender, peach, lighter shades of green and blues help. Block out any excess light flowing into the bedroom, you may turn on a soft blue light as a night lamp if you wish. Avoid storage under the bed and ensure undersurface of bed is clean and free of clutter. Place a orange or yellow coloured cloth under the bed spread at approximately the area towards the solar plexus (when the person lies down on the bed) to balance the inner Chi and overcome blockages to activate good sleep. Ensure the bed is not facing sharp corners or mirror and most importantly not under a over head beam or sloping roof. The bedroom air is important, open the windows often during the day and evening or use a good air-purifier to keep the air fresh and full of oxygen. Lavender linen spray can take the sensory system to a higher level and induce good sleep. Apart from the above, the focus on little children’s sleep patterns is important and adapting a mood in the child’s room which depicts protection, happiness and playfulness will help. Children are more sensitive to energy and do get disturbed to energy changes. The key is to change the balance of Yin and Yang and create a more restful space conducive to sleep and the sleep pattern will change over a period of time.